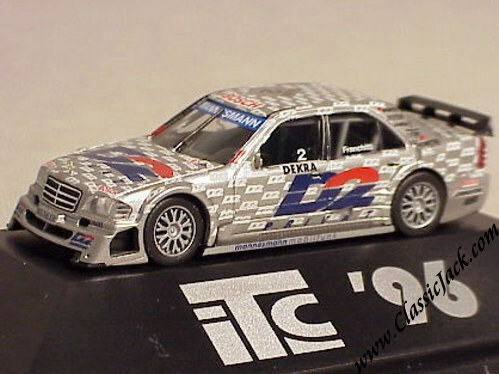 Herpa 1:87th scale Motorsport AMG Mercedes Benz 190E. 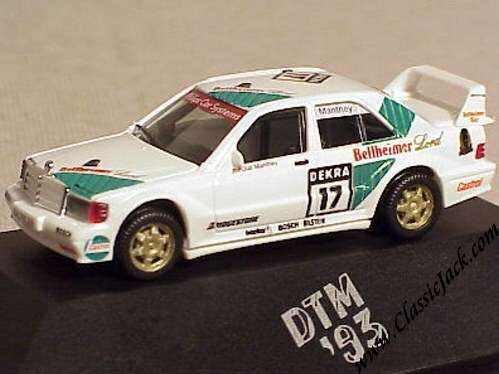 Herpa 1:87th scale Motorsport Mercedes 190E 2.5-16 Evo II. 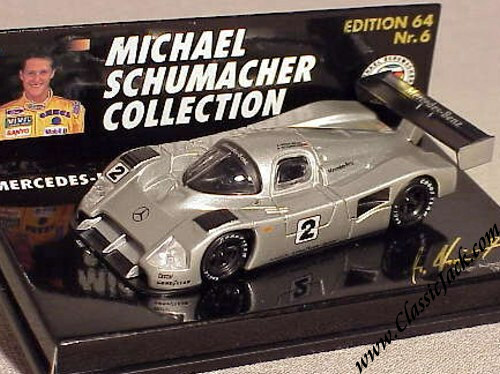 Minichamps Michael Schumacher Mercedes C291 Winner Autopolis Japan. 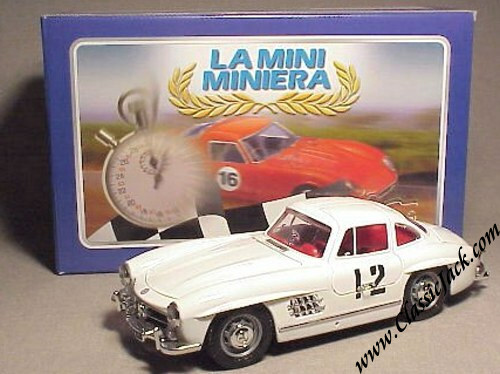 La Mini Miniera Mercedes 300SL Rally Sestrieres. 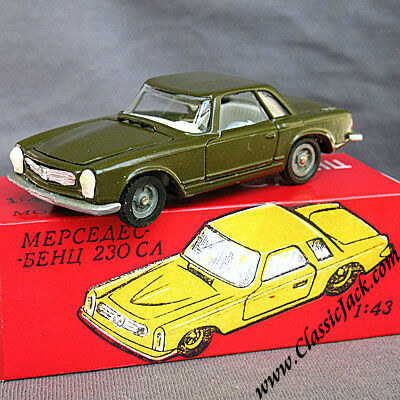 Limited Edition of only 350 pcs. 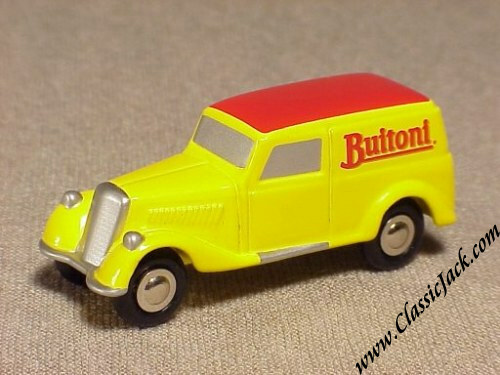 This model is based on a 1/18 scale Bburago 3013 and comes with a unique decals set applied, especially made for the Mini Miniera Edition. 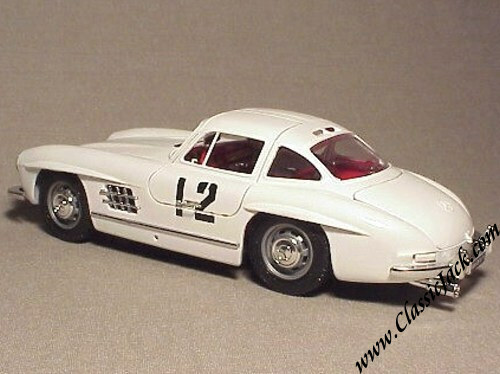 It was re-sprayed by Minimminiera in the correct shade of white. 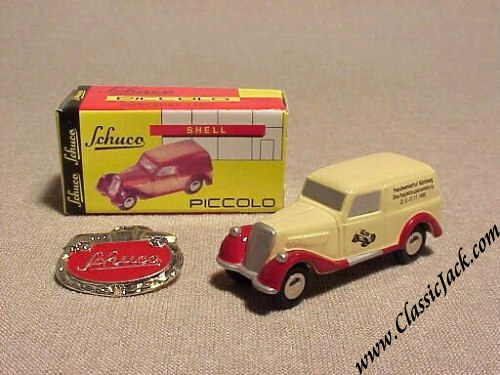 La Mini Miniera regularly has Burago models modified by local Italian artisans and issues these in small, very limited, editions. 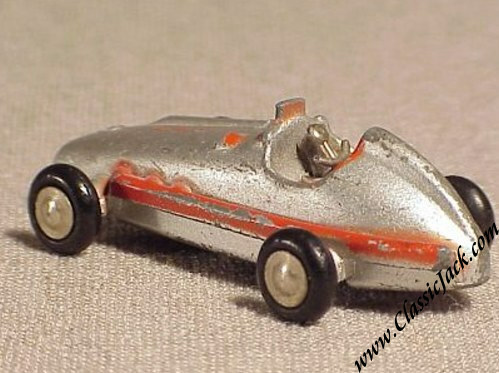 It measures some 9 inches or 23 cm in length. 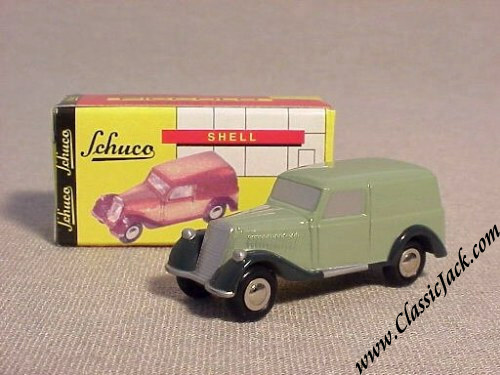 Schuco Piccolo Mercedes Benz 170V Van, Green. 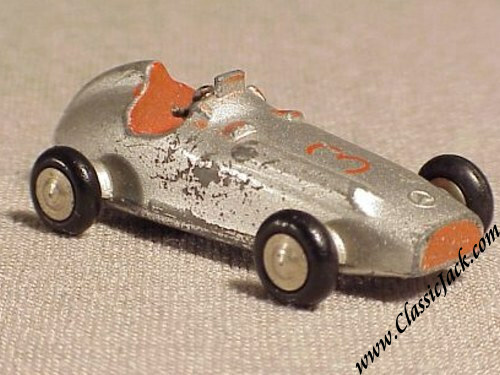 Issued in April 1999, it was an edition of 3,000 pcs and destined for the specialist trade. 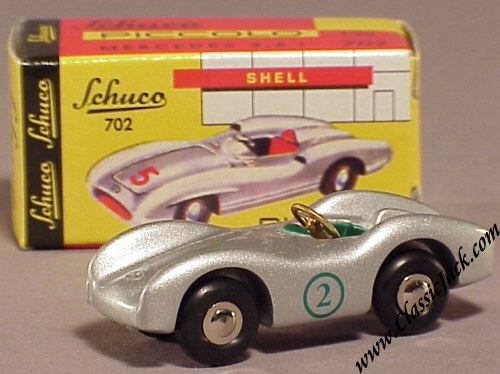 It is pale green with dark green fenders and replaces the now obsolete red/black version. 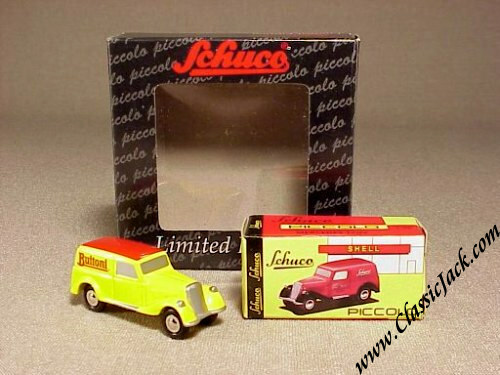 Schuco Piccolo Mercedes Benz 170V Van, Löwenbräu. 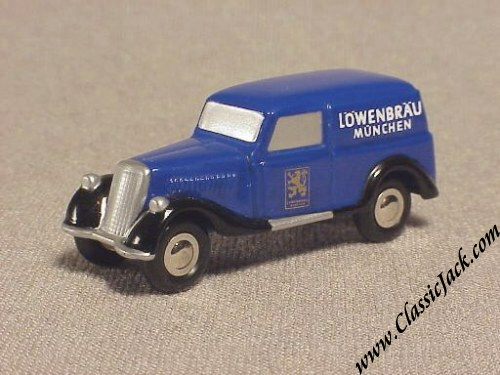 Issued in December 2000, it was a promo made for the Lowenbrau beer brewery in Munich, Germany. 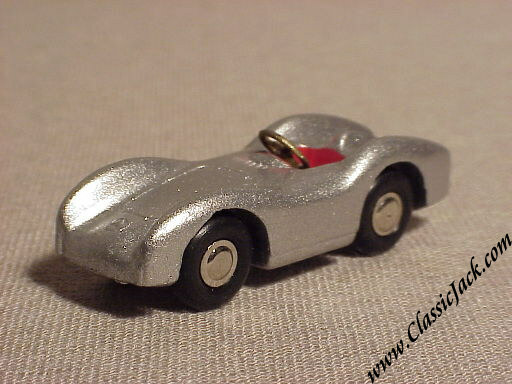 It was a limited edition of 3,000 pcs. 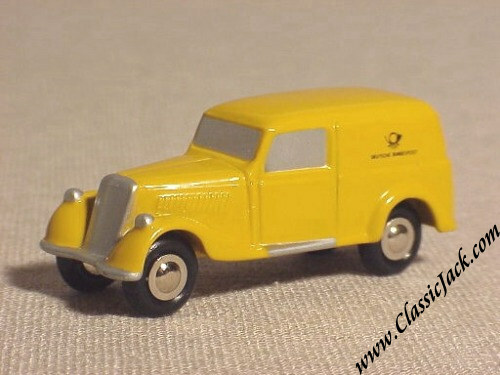 Schuco Piccolo Mercedes Benz 170V Van Deutsche Post. 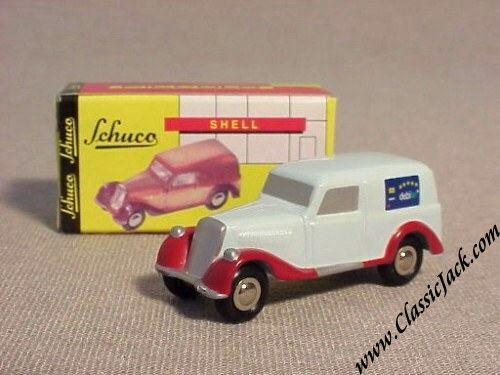 Schuco Piccolo Mercedes Benz 170V Van Erdal. 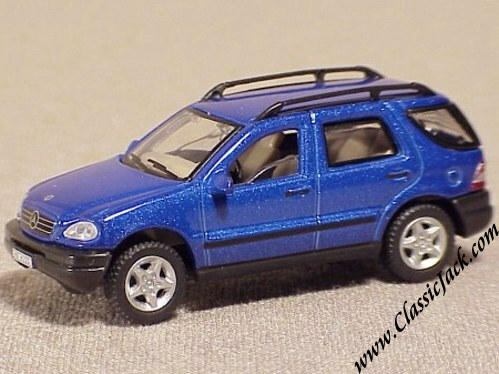 Issued in November 1998, it was destined for the specialist toy trade only. 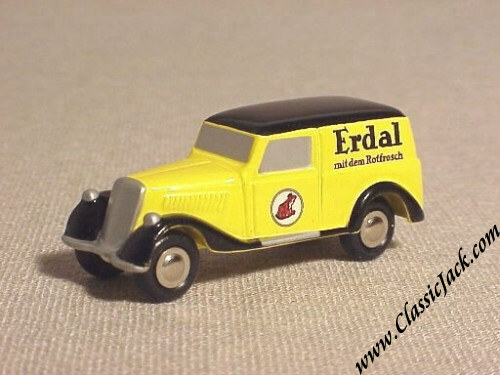 It is a 170V in the livery of Germany's famous shoe-crème manufacturer "Erdal". 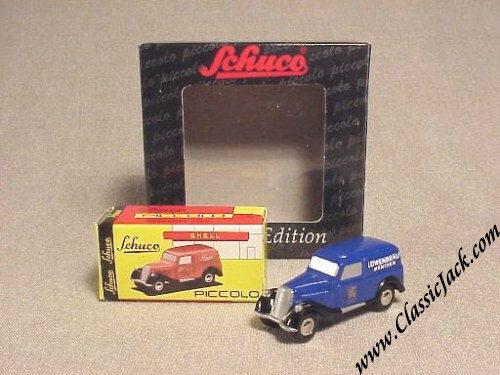 Schuco Piccolo Mercedes Benz 170V Van Debitel. 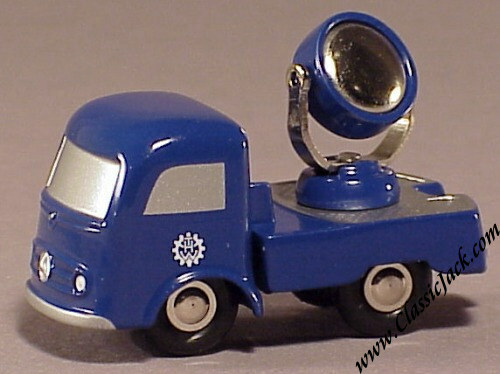 Issued in 1999, it was a promo made for Telephone Provider Debitel. 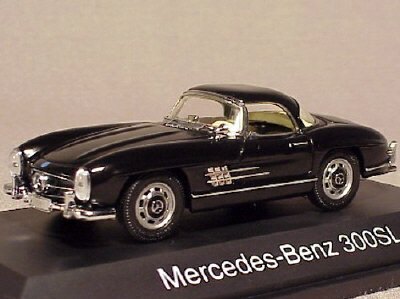 It was a limited edition of 3,000 pcs only. 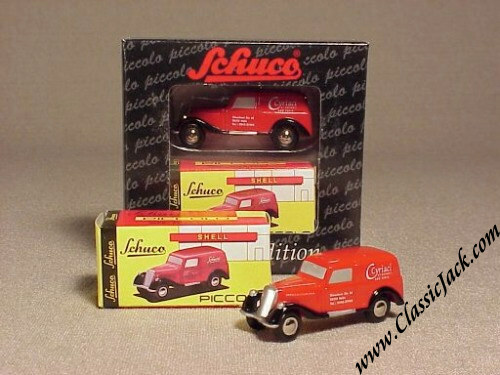 Schuco Piccolo Mercedes Benz 170V Van Cyriaci. 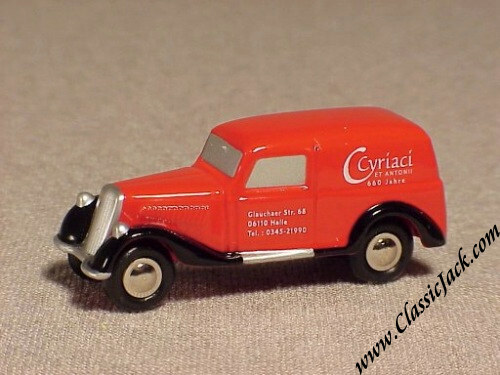 Issued in June 2001, it was a promo made for Hospital Cyriaci, a German private clinic that celebrated its 650 years existence (!). 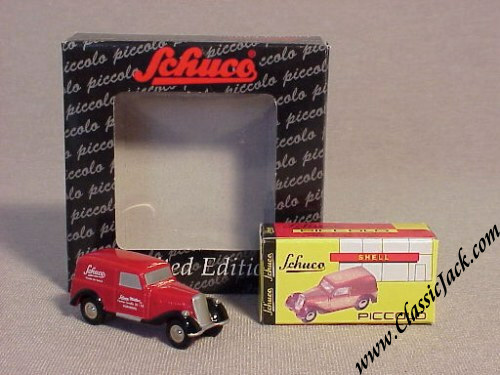 It was a limited edition of only 1,000 pcs.! 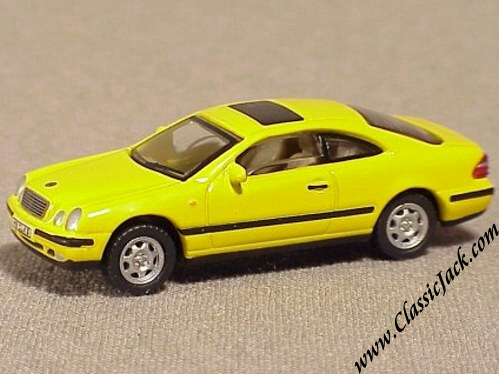 Please note that for the top picture, we used 2 models. 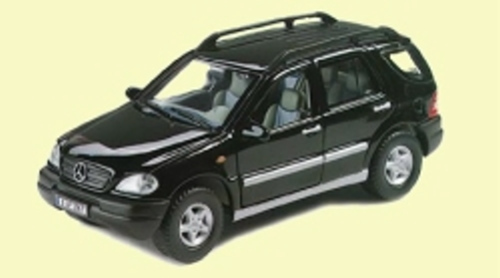 The listed price is for one model only. 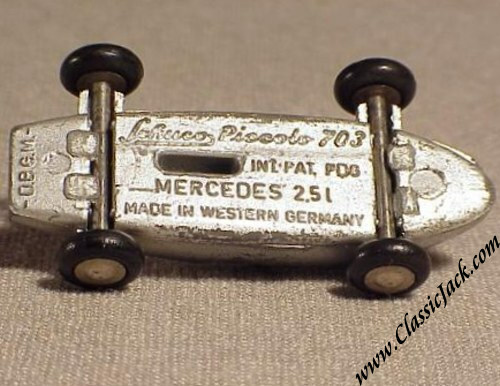 Schuco Piccolo Mercedes Benz 1936 GP Car Langenburg Classic. 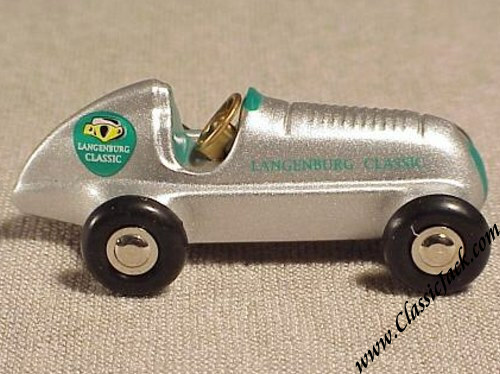 Issued in February 2001, this model was made as a promo for the "Langenburg Classic", a veteran car rally in Germany. 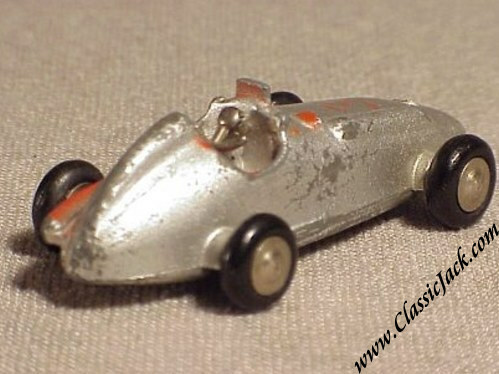 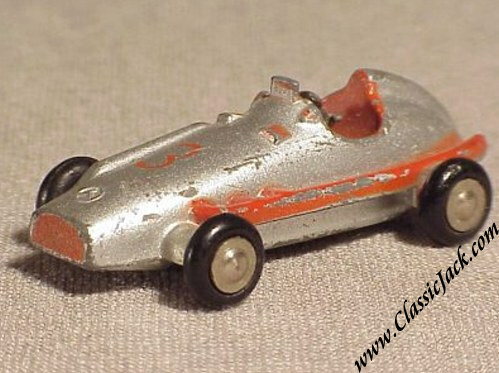 It is a 1936 race car in silver metallic with special green print and detailing. 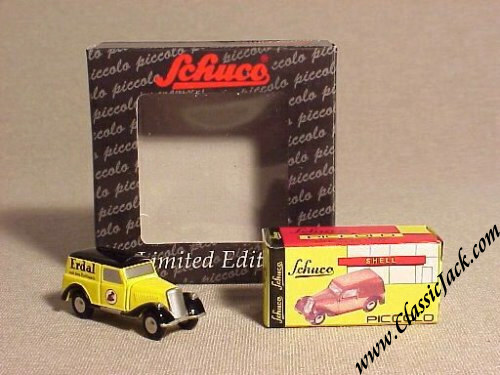 Limited edition of 3,000 pcs. 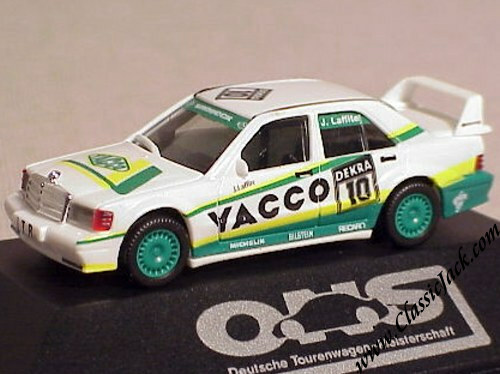 Schuco Piccolo Mercedes Benz W196 Stromlinien Nuremberg Messe 1996. 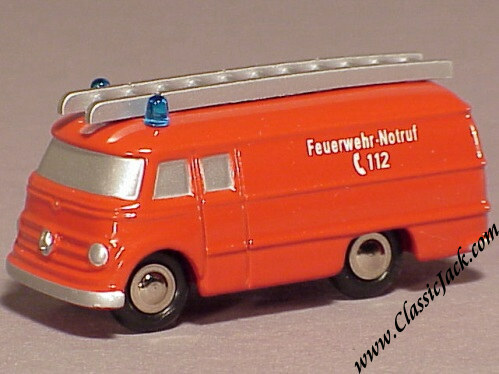 Issued in February 1996, it was issued as a gift for "friends of the house" of Schuco at the 1996 Nuremberg Toy Fair. 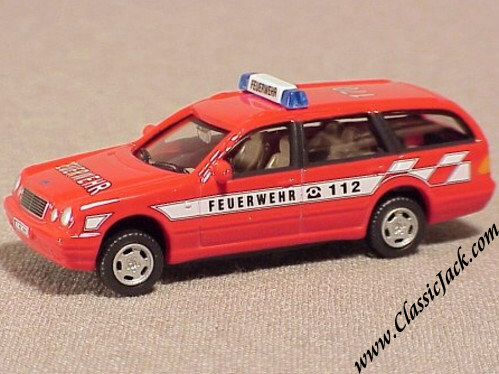 It carries a red Schuco logo print on the doors and a black "Messe 1996" print on the hood. 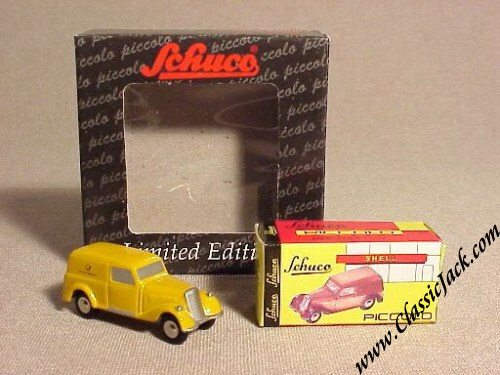 Only 1,000 pcs were issued! 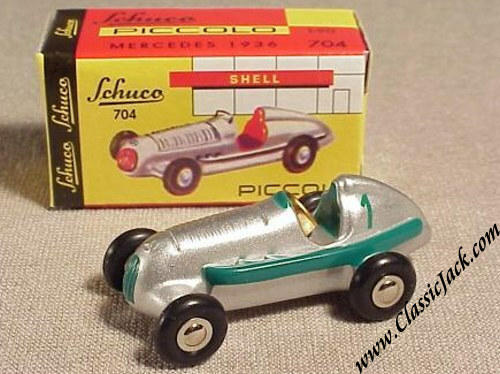 Schuco Piccolo Mercedes Benz W196 Streamliner GP Car, Scuderia Lufthansa Classico. 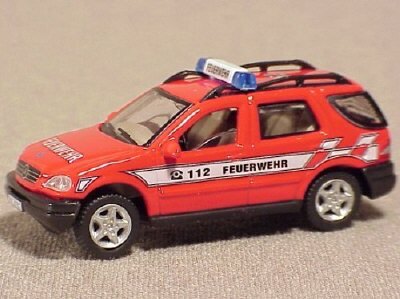 Issued in June 1996, this model was made as a promo for German Airline Lufthansa. 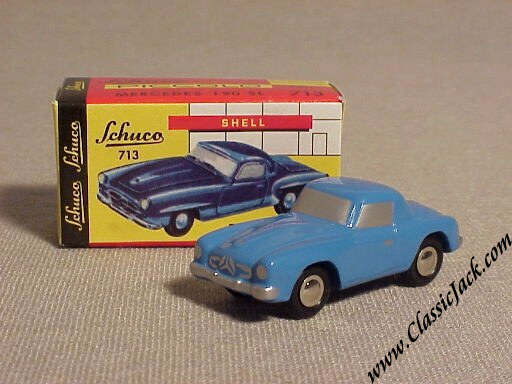 It is a W916 Stromlinien race car in navy blue and special yellow print. 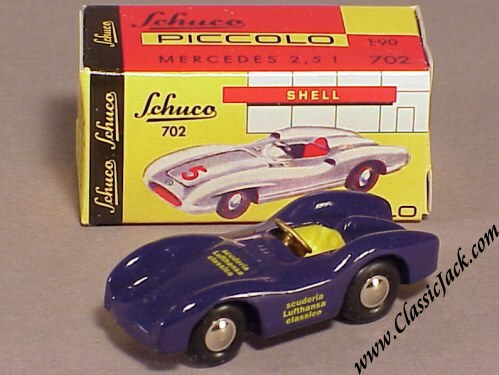 Schuco Piccolo Mercedes Benz W196 Streamliner GP Car Langenburg Classic. 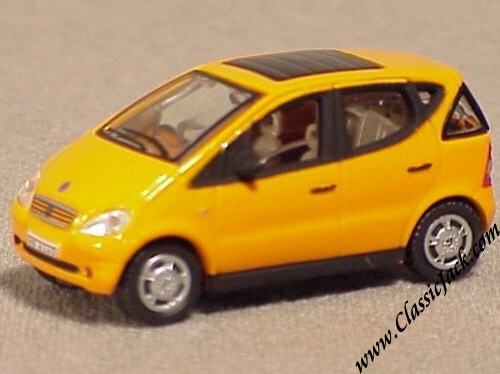 Issued in September 2002, this model was made as a promo for the "Langenburg Classic", a veteran car rally in Germany. 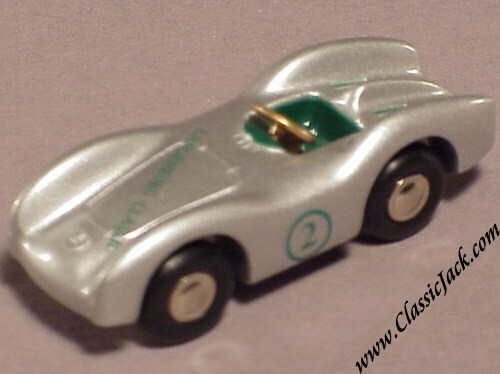 It is a W916 Stromlinien race car in silver metallic with special green print and detailing. 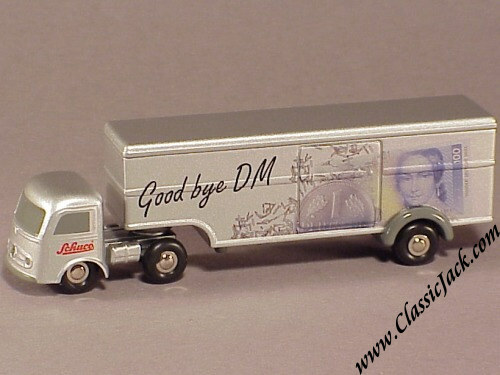 Schuco Piccolo 743 Mercedes-Benz Thermo Truck, Goodbye DM Set. 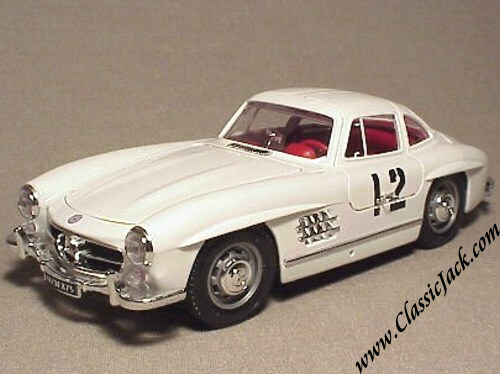 Issued in September 2002, this is a limited edition of 2,222 pcs destined for the specialist toy trade only. 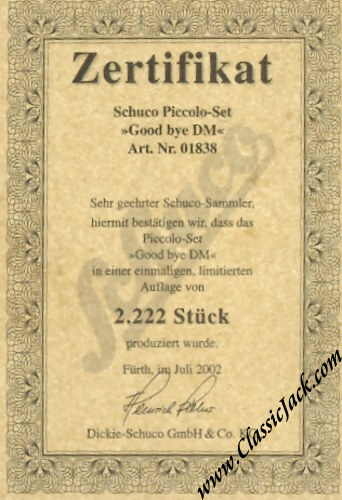 It was issued to celebrate the "goodbye" to the Deutsch Mark and the introduction of the Euro as European currency. 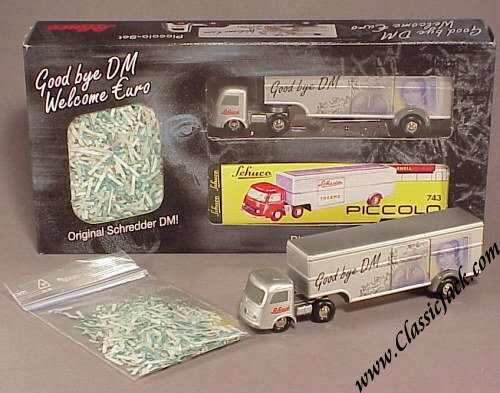 The set contains a 743 articulated lorry with special print, box, certificate and as a special bonus, a small bag with shredded DM notes! 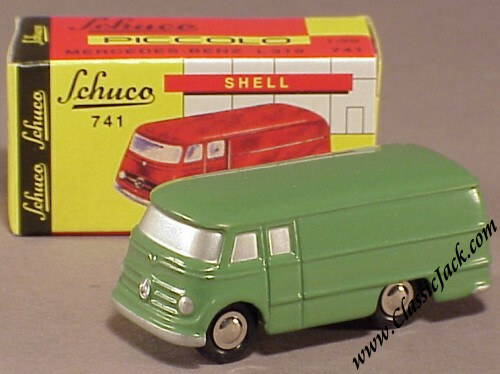 Schuco Piccolo 741 Mercedes-Benz L319 Van Pale Green. 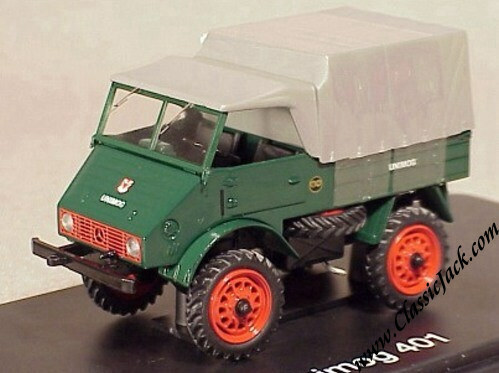 Issued in September 2002, this is the regular edition of the L-319 in pale green destined for the specialist toy trade only. 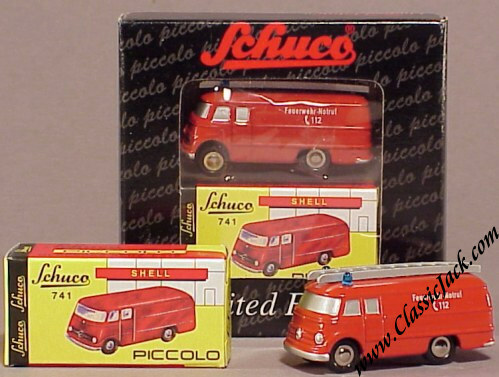 Schuco Piccolo 756 Mercedes-Benz L319 Fire Brigade Equipment Van. 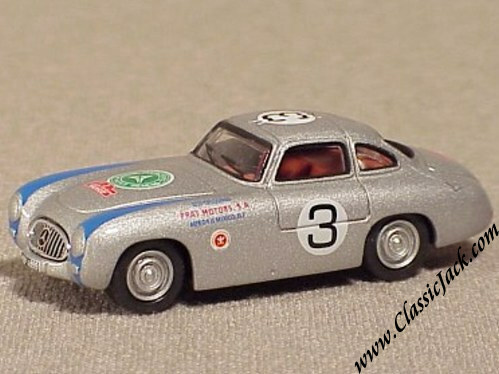 Issued in September 2002, this is a limited edition of 2,000 pcs destined for the specialist toy trade only. 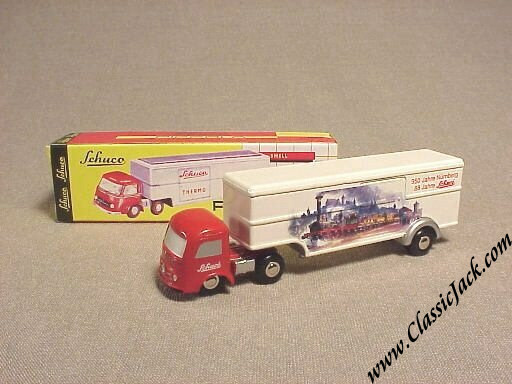 Schuco Piccolo Mercedes Benz Closed Truck, 950 Years Nuremberg / 88 Years Schuco. 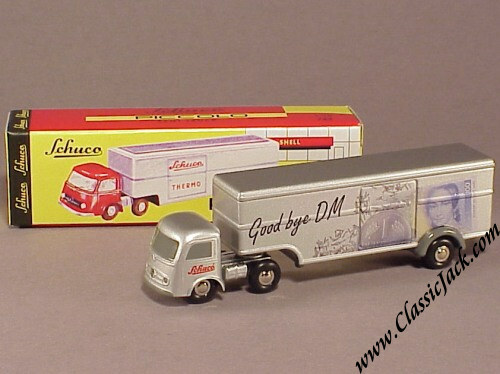 Issued in December 2000, this elaboration of the Semi was made as an elaboration of the normal plain semi truck. 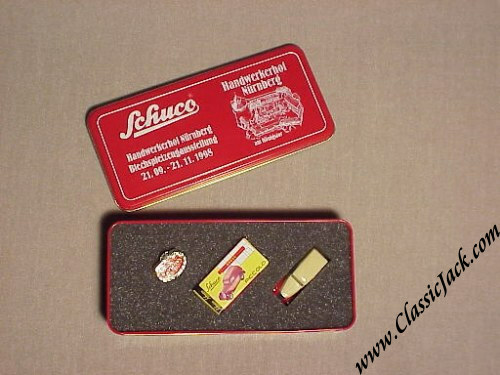 It carries elaborate print to celebrate that the hometown of Schuco, Nuremberg, was founded 950 years ago. 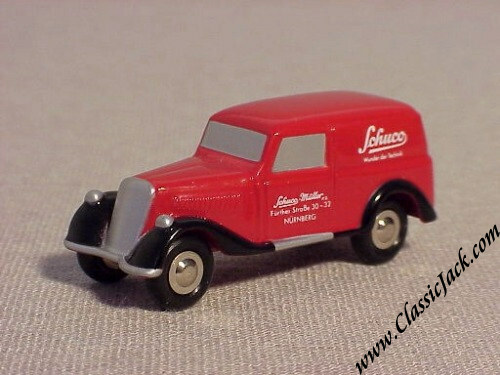 The print shows the "Adler", the first German locomotive which ran between the cities of Nurnberg and Furth. 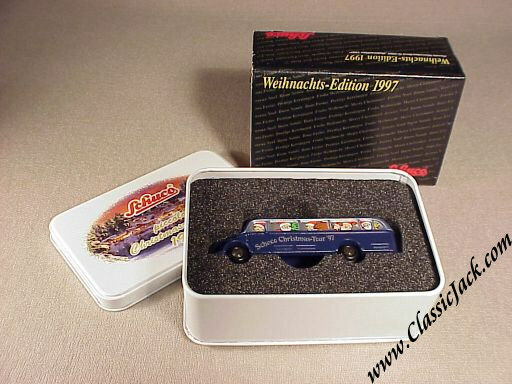 Schuco Piccolo Mercedes Benz O-3500 Bus, Christmas 1997. 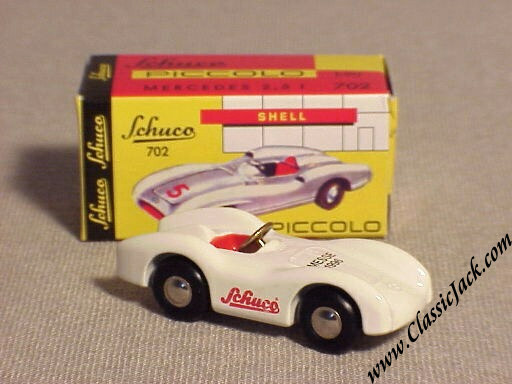 Like every year, also in 1997 Schuco issued a special Christmas version of one of the Piccolo's. 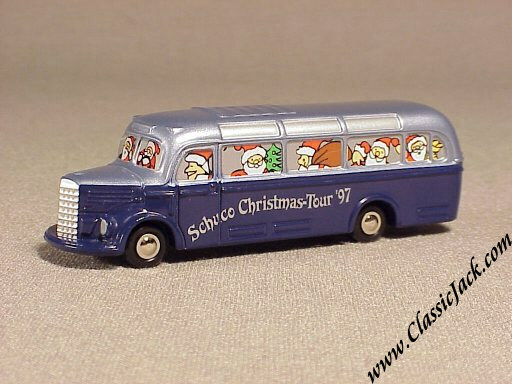 In 1997 the choice fell on the Mercedes Benz O-3500 Bus with Santa at the wheel. 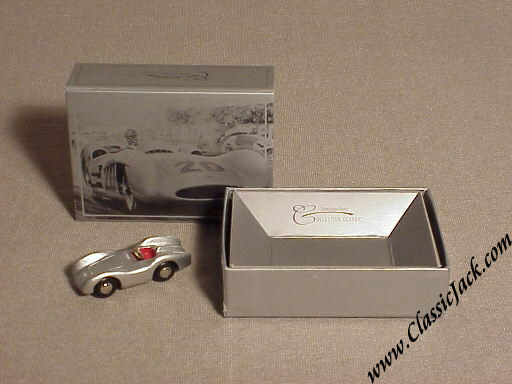 The model comes in a special tin box and comes of course complete with a certificate confirming its authenticity. 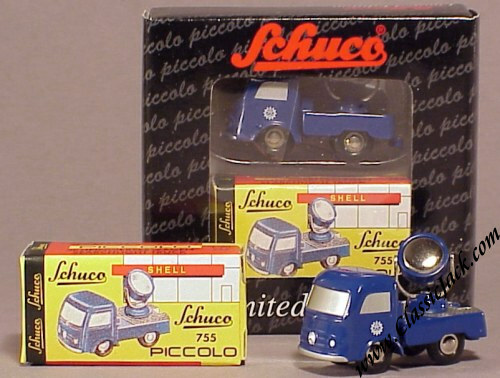 Schuco Piccolo Mercedes-Benz Searchlight Truck, THW.